Our firm was originally formed by Jerry Rouse in the late 1970s. Jerry and Emily Mills formed a corporation under the name Mills, Rouse and Company in 1987, the predecessor firm to Joyce and Company, CPA. Keith Joyce joined the firm in 1995 after earning the Katherine Guthrie award for tying the highest overall score in North Carolina on the November 1995 CPA exam. 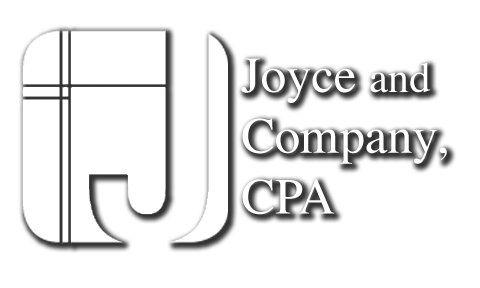 He acquired majority ownership of the firm in 2000 and officially changed the name of the firm to Joyce and Company, CPA in 2005. Over that time, we have continued to provide quality professional services in a timely and efficient manner for our clients. To deliver top-notch accounting, auditing and tax related services to small businesses and their owners. To assist clients in making sound financial decisions based on understanding their goals, values and opportunities. To be of the highest character in everything we think, say and do. Our firm is committed to bringing on new clients and providing additional services to existing clients. Our staff is well balanced to ensure that our clients needs are met at the highest level and that all work is assigned at the appropriate level of ability. Our approach allows us to provide a wide range of expertise and grow with our clients.